Our newest film from our Wyoming, Born and Raised series is titled Wild and Full of Grit. It features Kathryn Turner – who is not only an accomplished painter, but she tells some pretty good stories as well! The choreography within this piece was created to bring her stories to life in a surreal way. It doesn’t hurt that we shot everything on Triangle X Ranch, where Kathryn grew up as a fourth generation Turner. The long history of Triangle X seeps into every part of this film and evokes how powerful this place – the Tetons – truly are, we are all humbled by the power of these mountains. 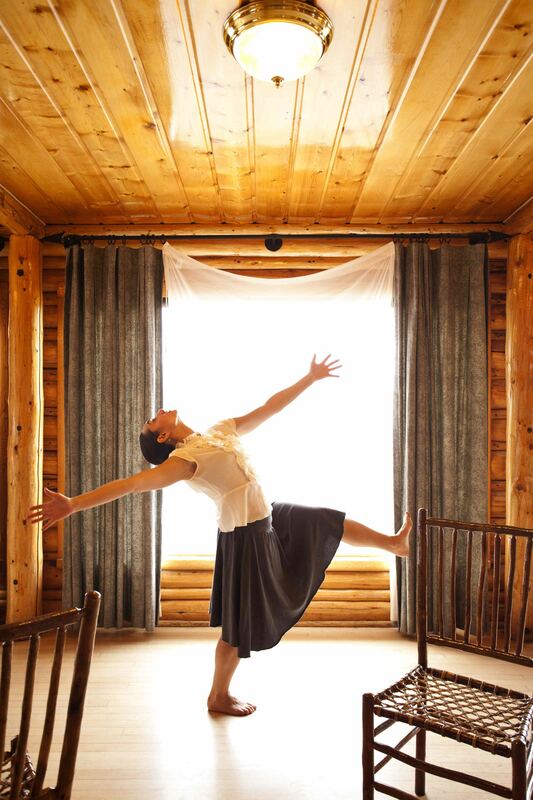 Like Kathryn, Hole Dance Films is similarly inspired and integrated into this Western frontier. I don’t think we could make work that wasn’t inspired by the Tetons and all that comes with them, even if we tried. We are inspired by where we live everyday and feel so lucky to be able to make the work we make while living here. Our friends at Culture Front are having a similar conversation at the end of the month: How this western frontier influences the contemporary artists that live here. Check Culture Front out here! The film is currently uploaded to the Wyoming Short Film contest’s voting system and we need your help with votes, comments and sharing to potentially win $25,000. We have plans to continue this series and those funds would sure help us! Go watch the film or wait till its’ premiere on May 23rd at the Historical Society and Museum here in Jackson! Watch Wild and Full of Grit within the Wyoming Short Film Contest here! Please pass the link around to anyone that you think the film may resonate with and thanks for your support! 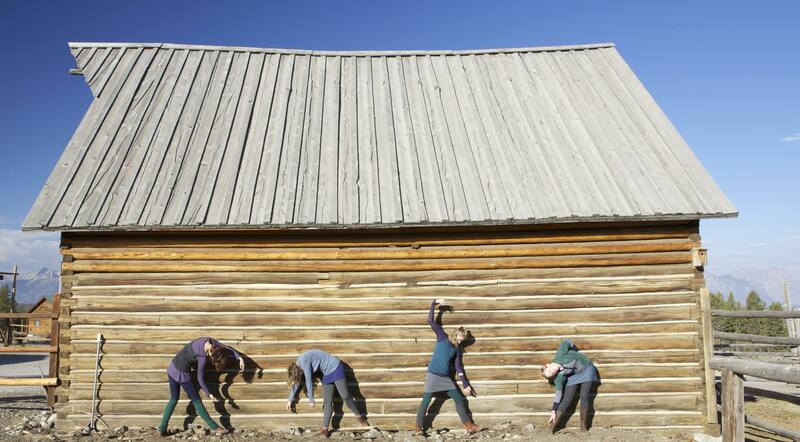 Natalia Duncan, Megan Stewart, Cady Cox and Meleta Buckstaff dance in front of the historical barn on Triangle X Ranch property last October for Wild and Full of Grit.